The Zoom F-Control for F8 and F4 brings you authoratitive control and complete mastery of your F4 and F8. 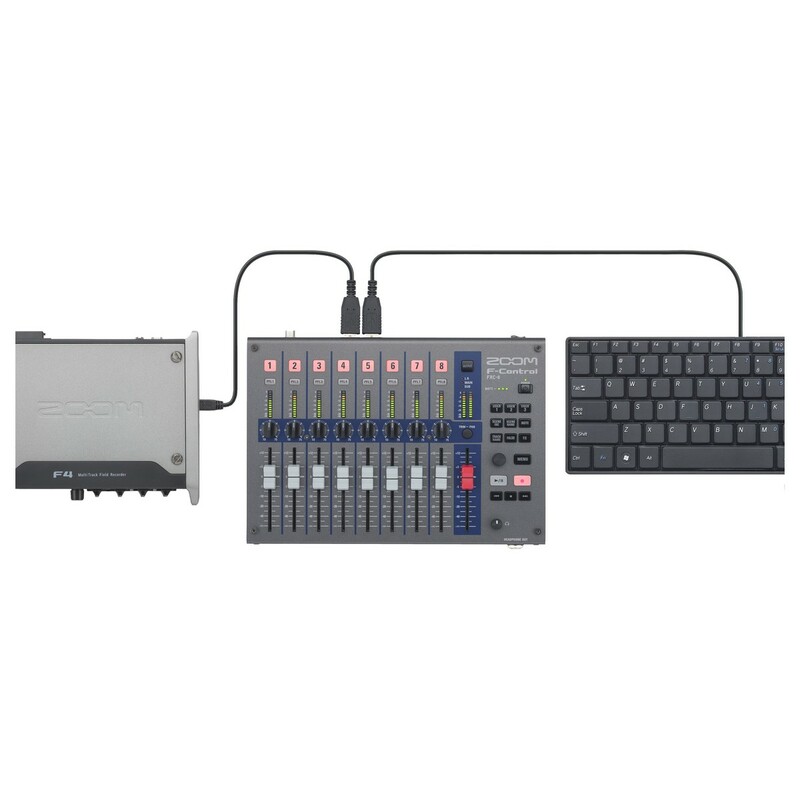 With essential recording tools right at your fingertips, a simplistic and rugged design, and two intelligent main power options, the F-Control is an essential part of anyone's F8 or F4 multitrack field recorder setup. 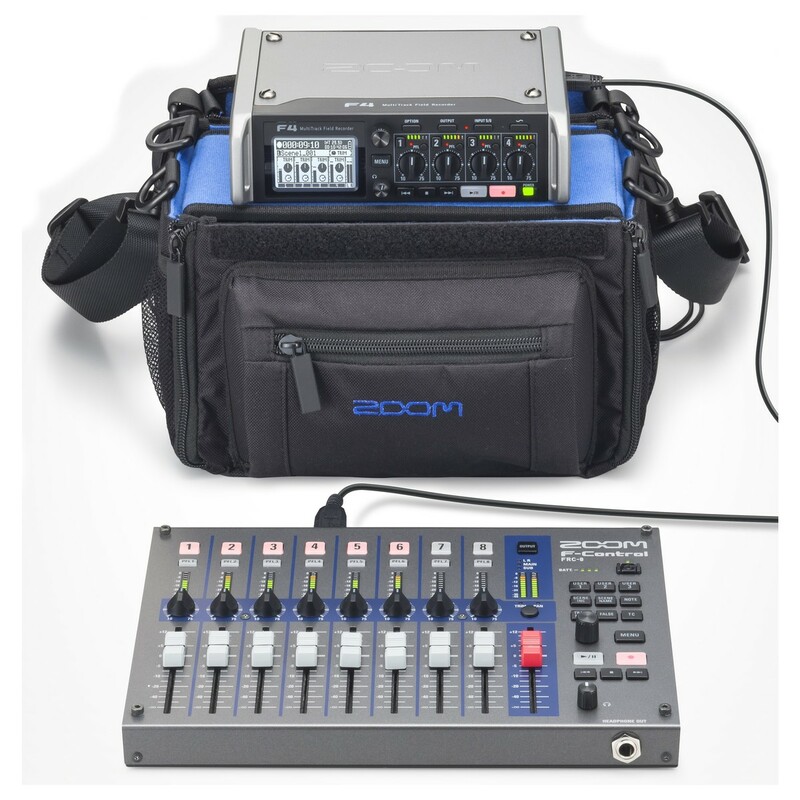 This hands-on design boasts a wide array of features, and provides you with flexibility and versatility in a complete and professional on-location audio rig. 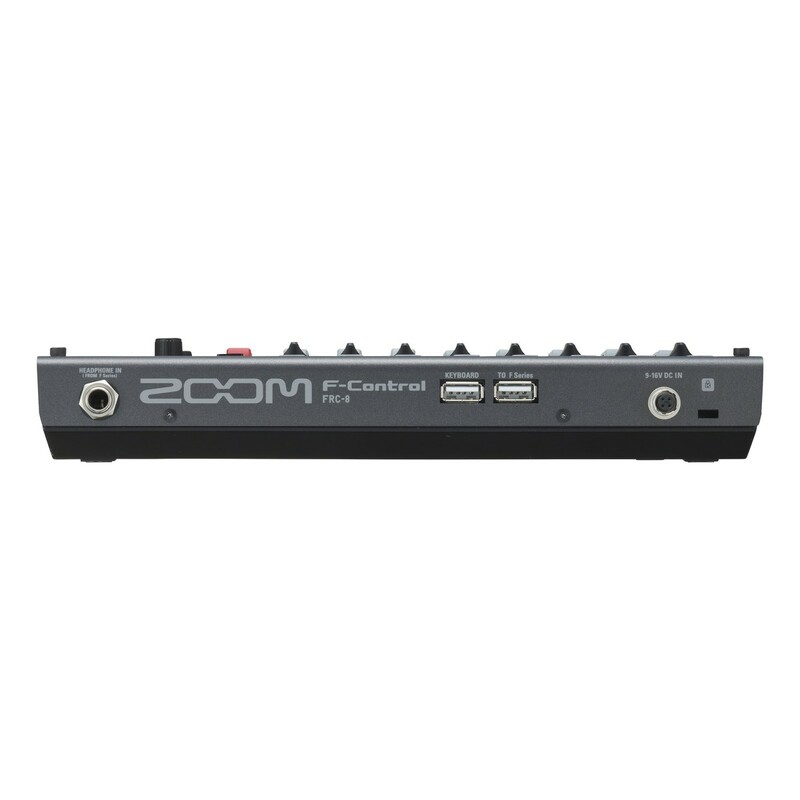 The Zoom F-Control features a simple design that gives you hands-on authority over your workflow, enabling you to maximise your potential for capturing high quality audio. 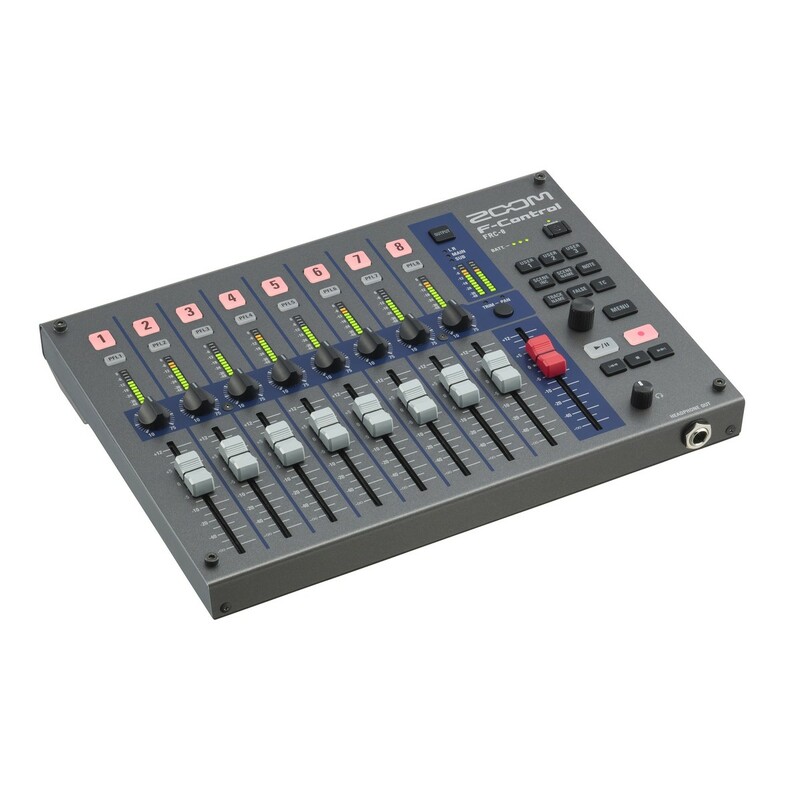 Taking your sound recording and mixing to the next level, the F-Control helps you bring out the best in your work. Recording in unpredictable locations can often mean a trade-off between mobility, damage resistance, and work quality. However, with the F-Control, you can rest at ease knowing it's solid metal chassis and highly mobile size and weight are ensuring you can still achieve incredible results no matter where you are. The F-Control is suitable for any of your desired production locations. Not only is the F-Control rugged enough to be used anywhere you like, it's two main power options help to make sure you can keep working in a variety of situations. With the choice between four AA batteries for up to 10 hours of continuous operation, or a four-pin HIROSE connector with an external battery pack, you can make sure you're never interrupted by power limitations. An additional USB bus power option is also available for use with the F4 (not available with the F8). The F-Control connects to your F8 or F4 via one of two available USB ports. Also featured is a Keyboard USB port, enabling you to input metadata no matter where you may be working. The 1/4" headphone in on the F-Control grants you the ability to connect the headphone out from your F4 or F8 so you can monitor your audio from a single place. 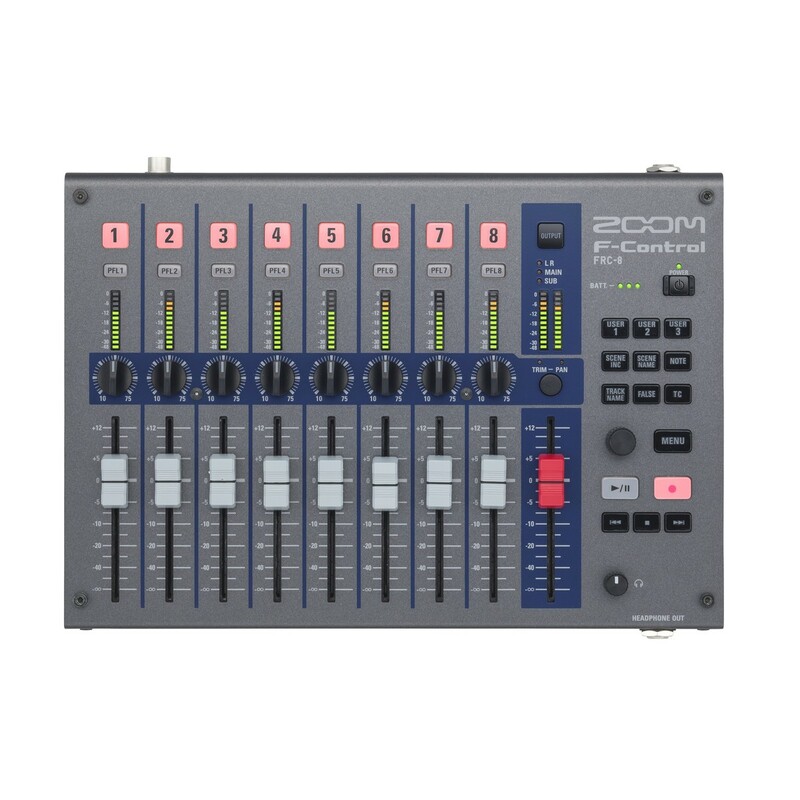 The F-Control brings a total of nine 60mm faders (eight faders and one Master fader) with hands-on controls for trim, pan, and track arming, right to your fingertips. The simplistic design enables you to work efficiently, with simple 12-segment LED meters for monitoring channel and output levels, three user-programmable buttons for personal preference mapping, and a dedicated time code button. If you have access to a USB keybaord whilst working, simply plug it in to the Keyboard USB port and instantly have the ability to input important information for "Track Name", "Scene Increment", "Scene Name", "Notes", and "False Take." The F-Control allows you to really make the most of your F8 or F4, giving you complete control and mastery over your sound design and mixing, and letting your creativity flow. Clutter free connectivity alongside a simple design means you can be set up and ready to work in a matter of seconds.